INDIANAPOLIS -- Family members of Aaron Bailey released new information about the investigation into his death on Thursday at the site where IMPD officers shot and killed him back in June. Bailey's sister, Kimberly Brown and his daughter, Erica Bailey said they received Bailey's autopsy report and were granted access to his car Thursday morning, six weeks after his death. According to those reports, Bailey was shot four times and died from those wounds. Brown said they counted at least 11 gunshot holes in Bailey's vehicle. Police say Bailey was driving just before 2 a.m. on June 29 when police pulled him over for a traffic violation near the intersection of Burdsal Parkway and Riverside Drive. During that stop, Bailey sped from the scene and crashed into a tree near the intersection of 23rd and Aqueduct streets. 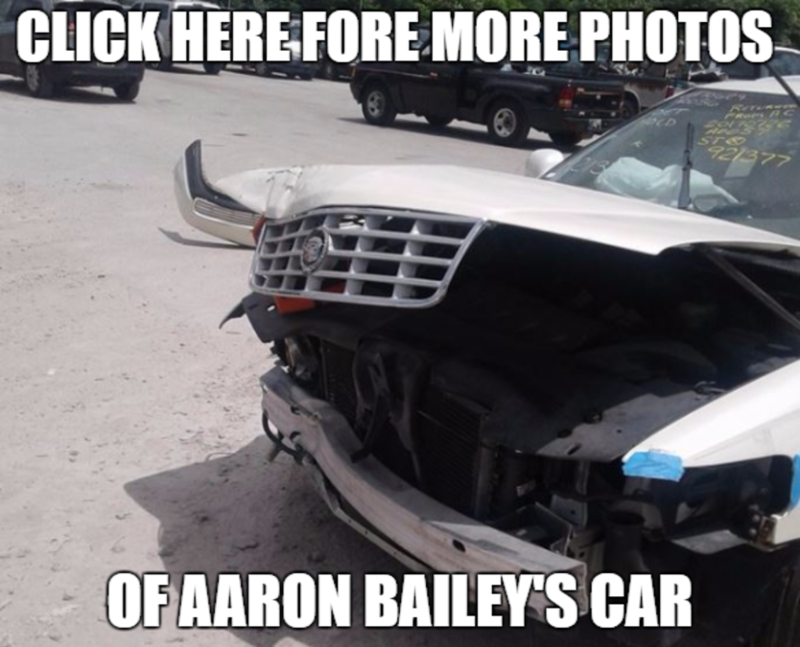 After that crash, the Indianapolis Metropolitan Police Department said two officers fired "multiple" rounds at the vehicle, hitting Bailey. He was taken to the hospital where he later died. Police say no weapon was found inside the vehicle. The circumstances surrounding what led up to the shots being fired have not been released by police but family members say the new information they received Thursday sheds light into Bailey’s final moments and how he died. Brown said the coroner's report showed that Bailey died from four gunshot wounds to his back, chest and upper shoulder areas. They said they were also able to see Bailey’s vehicle Thursday morning and counted at least 11 bullet holes from the shooting, although IMPD has not released any information about how many shots were fired by the two officers. Brown said they are still not sure where the investigation stands because they haven’t been able to get an update from police. She said they feel like IMPD and the Marion County Prosecutor are ignoring their request for answers and wishes when it comes to prosecuting the case, but they will not stop until they get justice for Bailey. The family said they have requested a special prosecutor in the case. Under Indiana law, citizens can petition the court to name a special prosecutor. The Marion County Prosecutor has said that he will wait for the results of the investigation before he decides what action he will take, which could include calling for a grand jury. The Marion County Prosecutor said he has not made that decision because he has not received the results from the IMPD investigation. IMPD Chief Bryan Roach has also asked the FBI to run a parallel investigation into the officer-involved shooting. The FBI found enough to open the investigation into potential Civil Rights violations. That investigation will occur along-side IMPD's investigation into the events of the shooting. IMPD issued the following statement Thursday evening in response to the family's concerns.